Location, location, location. 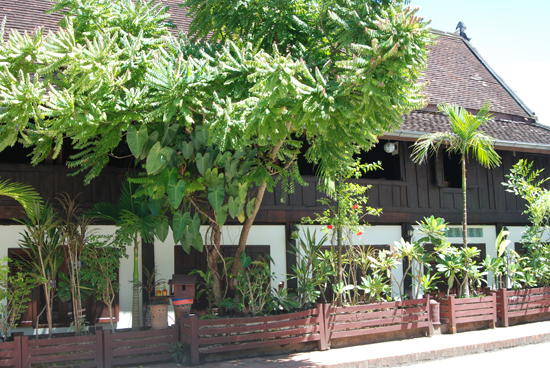 If you want to stay in the heart of Luang Prabang’s convivial bar scene, Aham Corner Guesthouse is a great option. 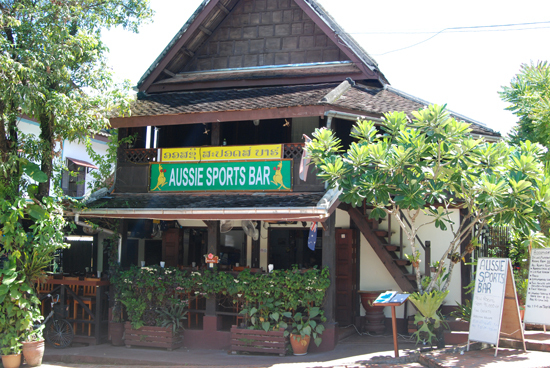 The guesthouse, part of the Aussie Sports Bar, is located in the Ban Aphai and Ban Aham neighbourhood where backpackers congregate nightly. There are several categories of rooms available, from no-frills basic to comfortable mid-range. At the T-Intersection in Luang Prabang’s lively bar area. 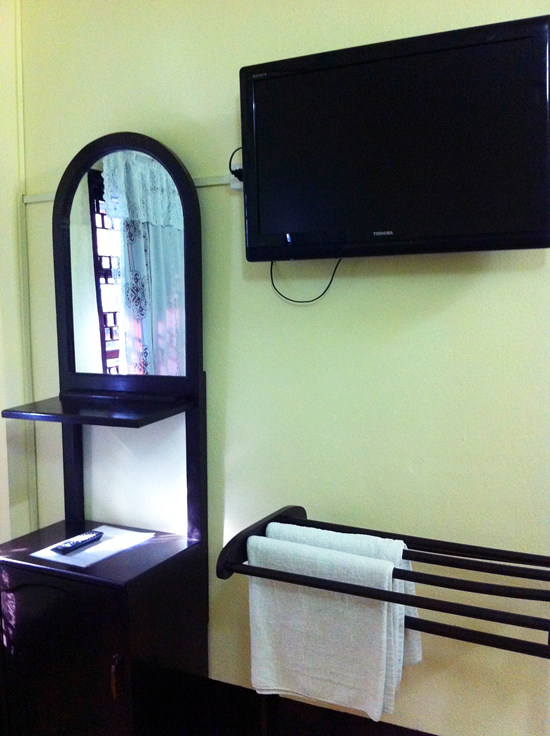 First, the least expensive rooms: In July 2014, Aham Corner Guesthouse took over part of an adjacent guesthouse and the seven basic rooms have been given a facelift with fresh paint, new linens and flat screen TVs. These rooms are no-frills and spotless. The bathrooms are wet rooms (no separate shower area and an electric shower/water heater), typical of what you would find in Laos for a guesthouse at this price. However, the bathrooms have been updated with new tiles, toilets and some new fixtures. Basic and clean standard room. The three downstairs rooms are fan-only ($12 in low season; $15 in high season) and the four upstairs rooms are brighter, with windows and air-con ($15; $20). 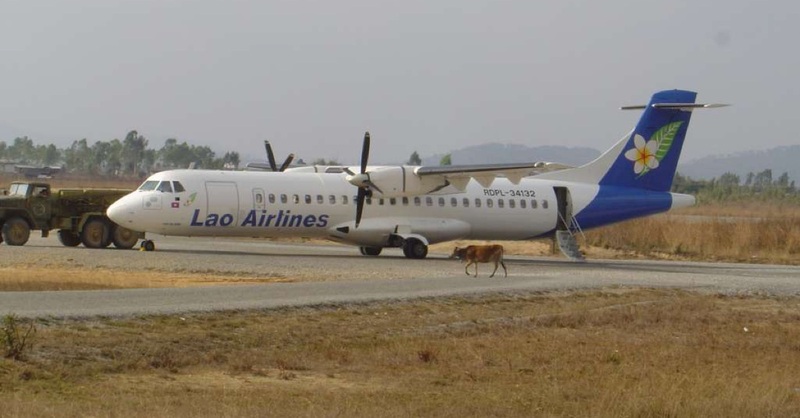 This is not your $6 a night backpacker prices – then again, remember that $6 in Luang Prabang will get you a dorm room in a dive. The deluxe rooms, street view. On the other side of the Aussie Sports Bar is the existing Aham Corner Guesthouse. 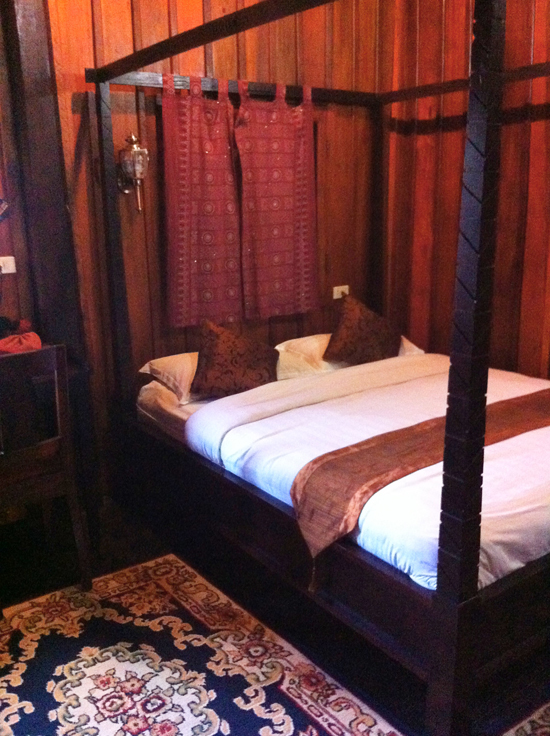 These five deluxe rooms are cushier, with air-con, rain shower, separate toilet, flat screen TV and European mattress. The double doors reduce the street noise but expect activity in this neighbourhood right until all bars promptly shut at 23:30. Travellers looking for quiet, privacy and green space should definitely look for a guesthouse outside the Ban Aphai and Ban Aham area. The rooms on the second floor (low season $40; high season $50) reflect the building’s heritage status, with teak wood walls and floors. The windows give a little natural light and there’s a common balcony area to sit and watch the street. The Aussie Sports Bar itself is a lively place for Western pub grub and to catch the big game. It’s also an interesting corner to people watch. 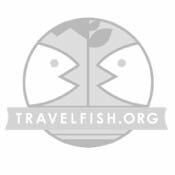 Owners John and Jenny are attentive and helpful with giving guests and patrons travel advice.